2. How do I select the right architect? 3. How do I select the right builder? 5. What can I build? 6. What contracts are available to me? Building a new home can be one of the most exciting achievements in life and equally it can be one of the most stressful! The crew at Irving Builders have the skills and experience to take away the stressful element. 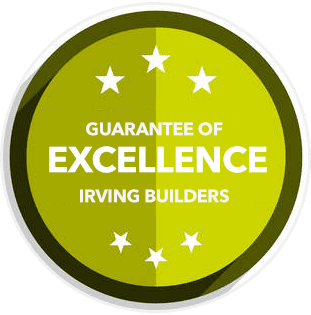 Irving Builders not only project manage the on-site construction of jobs but also the paper war and administrative aspects that are involved. This begins with concept drawings, plans and consent, flowing through to construction, coordinating subcontractors, inspections, quality control and client variations and satisfaction. With new homes comes an endless possibility of new ideas, and there is no better time to explore these options. Both Lance and Matt are members of this multi disciplined organisation. It allows for networking and liaising with other professionals in the wider industry arena. 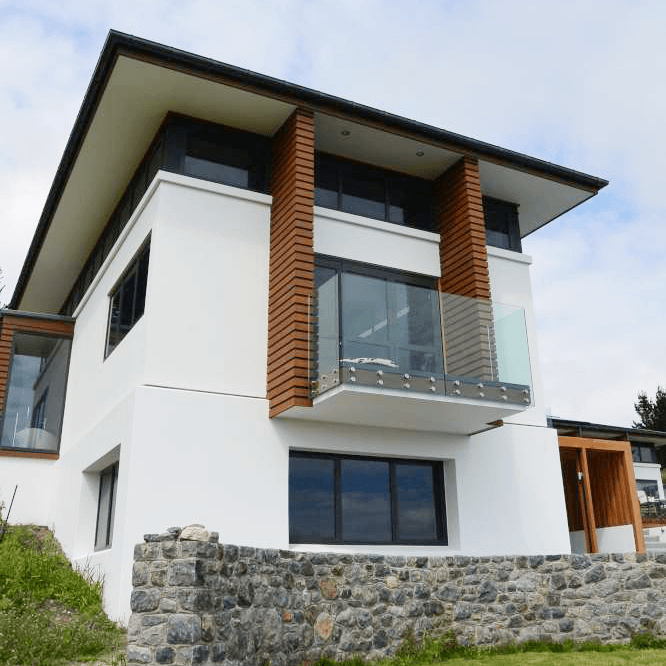 This was won in the $600,000 to 1 million category in 2014 for a home built in Christchurch. NZ Institute of Safety Managers membership provides a resource to remain up to date with Health and Safety changes within NZ. Matt is currently studying for his Diploma in Health and Safety. We offer a Comprehensive Excellence Guarantee for your peace of mind, which we feel is the best in the business. We will undertake your project, working within our Company Values which include being problem-solving builders and providing the most effective solution to you, for you. Thanks for a great job and being willing to work around all our needs. To have a company that can show adaptivity and compassion while on the worksite is truly appreciated… Definitely be recommending !! Get in touch with Lance today to discuss your New Build project, and to get all your questions answered. 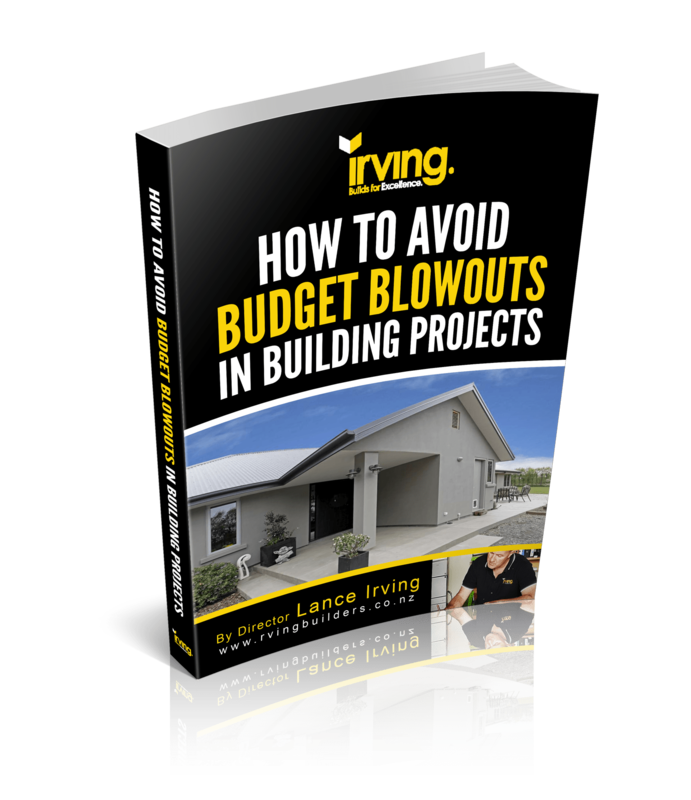 Download your FREE copy of your Guide and learn How to Avoid Budget Blowouts in Building Projects, a Step by Step Guide that could help save you thousands of dollars from unnecessary mistakes. 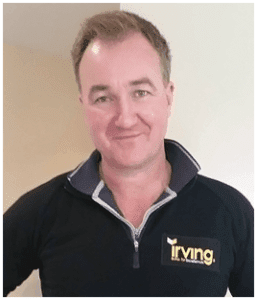 Contact us today to arrange your free design to build consultation with owner Lance Irving, and learn how to avoid the unnecessary hurdles that can occur during your renovation project. 5. Project management of your job and who does that. Simply fill in your details below or call us on (03) 318 1770 to secure a spot with Lance.